The AXO 400 T allows a significant increase in production thanks to the rear lifting table. 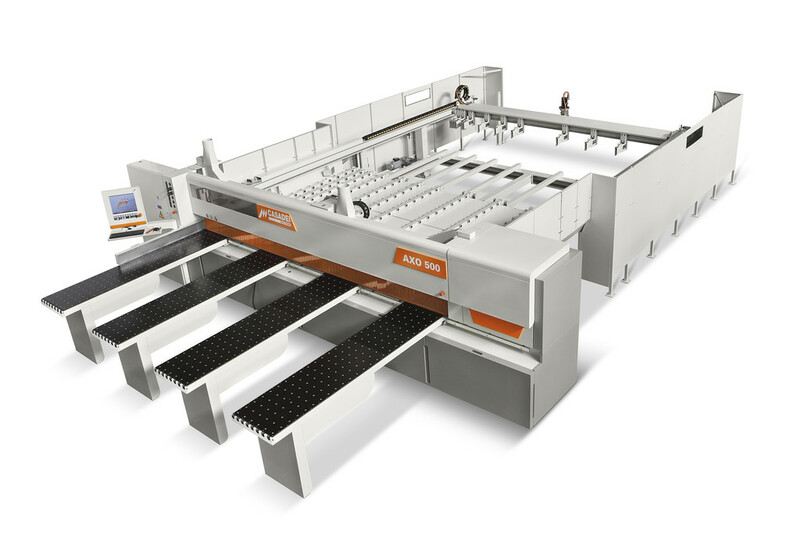 The panel stack is loaded on to the loading table and the machine works in a continuous cycle automatically loading the panel stacks as set in the cutting program. 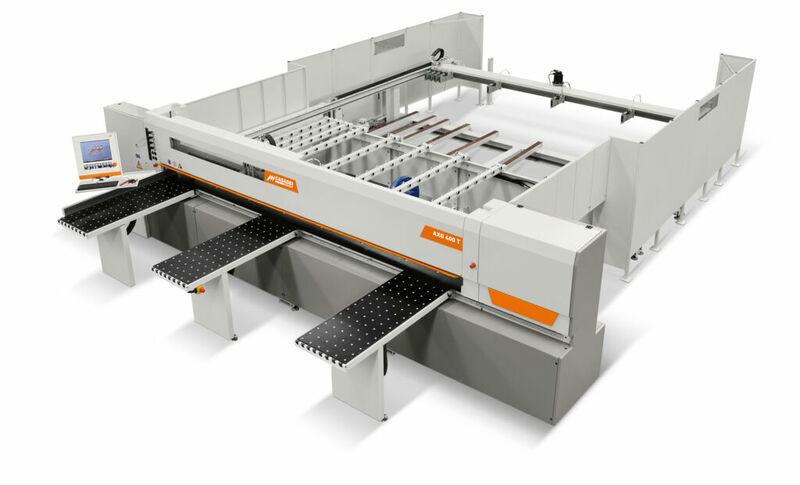 The AXO 500 T HD offers maximum performance for very high production rates. The exceptional strength of the machine, blade projection of 130 mm, high saw carriage and pusher speeds, the possibility of loading panel stacks up to 1300 mm high on the table are the main features of the machine which allow very high production. To cope with particularly onerous production rates under continuous use, the machine is equipped with prismatic guides for the saw carriage with automatic forced lubrication, 150 mt/min saw carriage feed speed and 70 mt/min pusher speed.